Inspired by The Guenther House in San Antonio, this decadent treat is a proven winner and perennial guest favorite. 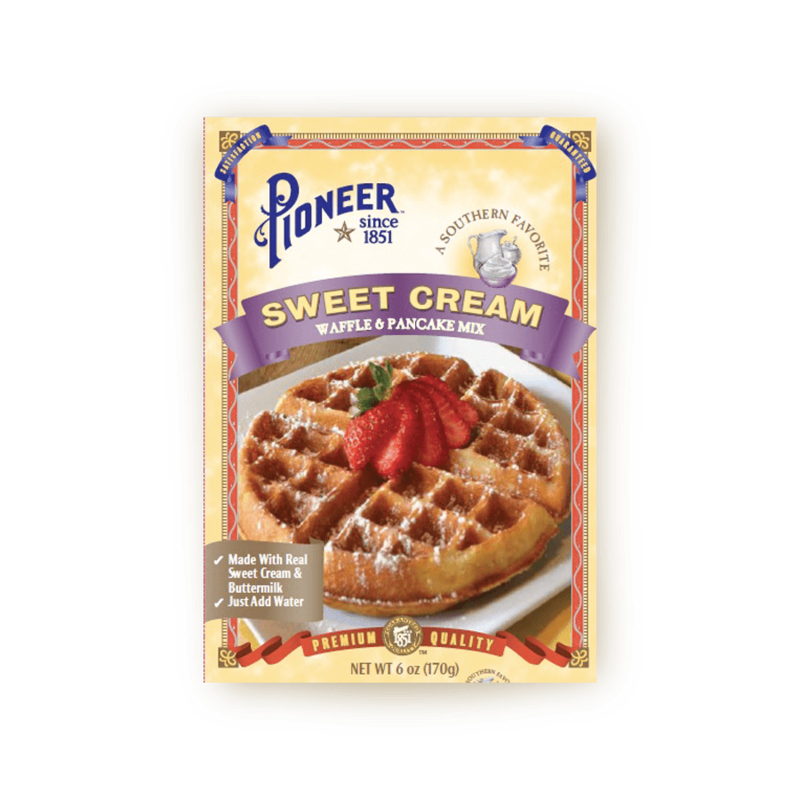 Made with flour milled in the Pioneer plant, our Sweet Cream Waffle & Pancake Mix contains real sweet cream and buttermilk. Enjoy this restaurant-style creation at home with our easy-to-make mix. PREHEAT lightly oiled griddle to 375°F. MIX water and package contents with a whisk in a medium size bowl (batter should be slightly lumpy). BAKE batter on a heated griddle 1 ½ to 2 minutes on each side (turn only once). 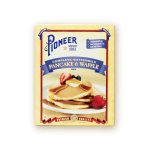 MIX water, egg, vegetable oil, and package contents with a whisk in a medium size bowl (batter should be slightly lumpy). BAKE 3 to 4 minutes or until golden brown. MAKES 6 to 7 4-inch waffles. 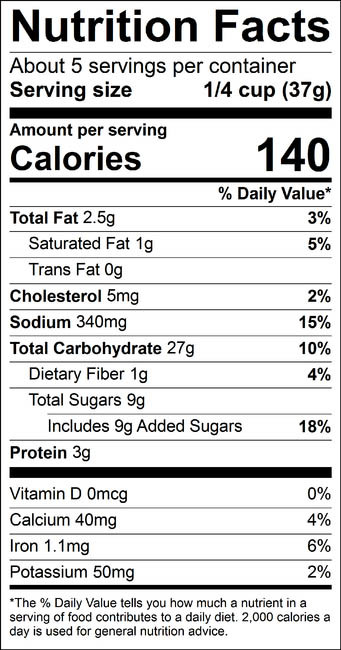 SALT, BAKING SODA, SODIUM ALUMINUM PHOSPHATE, EGG WHITE, MONOCALCIUM PHOSPHATE, NATURAL AND ARTIFICIAL FLAVORS, NONFAT MILK, COLOR ADDED, SOY LECITHIN, TURMERIC, BHA.